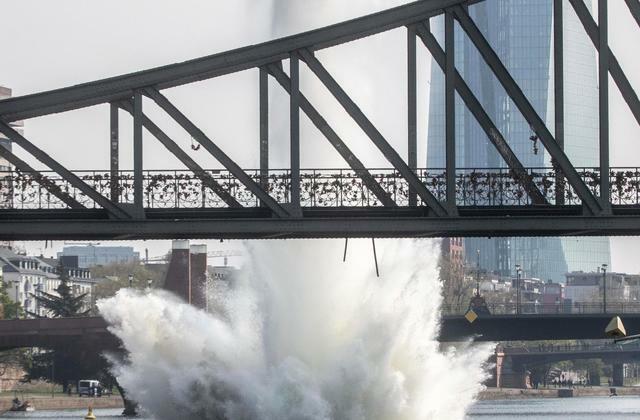 A bomb dating back from World War II was detonated in the Main river in Frankfurt on Sunday, the Frankfurt police said. It created a massive underwater blast when the police defused it. The explosion was filmed by local media. Hundreds of people living near the city’s Alte Brücke (old bridge), where the bomb was located, were evacuated ahead of the operation, the Frankfurt police announced in a statement. The bomb disposal happened at 08:00 am local time. The bomb was discovered by divers taking part in a routine exercise on Tuesday in Frankfurt’s River Main, the German news agency dpa reported.